Xiaomi sold more than 1 million units of the Mi 8 Series in just 18 days. Currently, the phones are only available in China but are expected to launch in India as well. Xiaomi sold more than 1 million units of the Mi 8 Series in just 18 days. Currently, the phones are only available in China but are expected to launch in India as well. Xiaomi launched the Mi 8, Mi 8 SE and the premium Mi 8 Explorer Edition last month and all the devices featured a notch-display. The smartphones went on sale in China from June 5. The Mi 8 went on sale in China on June 5 while the smaller Mi 8 SE went on sale on June 8. Donovan Sung, the global spokesperson of the company took to Twitter and said, "Sharing some amazing news. The Mi 8 series first went on sale on June 5. Just 18 days later, we've already sold over 1M units!". It must be noted that out of the three smartphones, the Mi 8 and Mi 8 SE are already available in the market. However, the Explorer Edition is likely to be released in July. The Mi 8 comes with a Qualcomm Snapdragon 845 SoC, a dual rear 12-megapixel camera setup, infrared face unlock and a 20-megapixel selfie camera. The Mi 8 SE also features a new processor, the new Snapdragon 710 SoC. The device features a fingerprint scanner at the back and runs on MIUI 10. The Mi 8 comes in 6GB RAM/64GB storage variant which is priced at CNY 2,699 (roughly Rs 28,000). It also comes in two more variants - the 6GB RAM/128GB storage which is priced at CNY 2,999 (roughly Rs 31,600) and the 6GB RAM/256GB internal storage which comes at a price of Rs 3,299 (roughly Rs 34,800). The Mi 8 comes in White, Gold, Light Blue and Black colour options. The Mi 8 Explorer Edition is also available in the 8GB RAM/128GB storage variant which is priced at CNY 3,699 (roughly Rs 39,000). 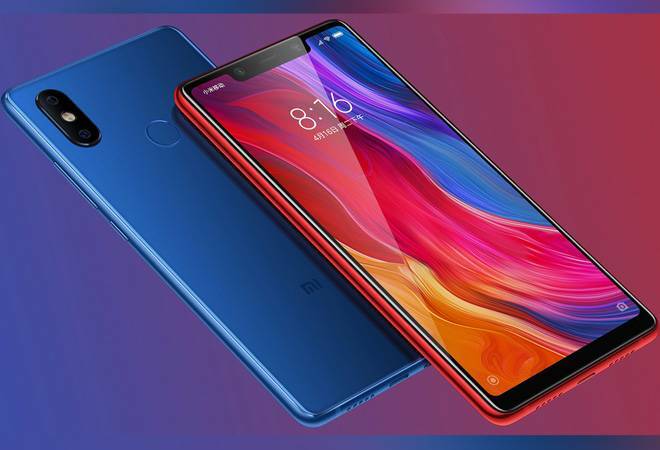 The Xiaomi Mi 8 SE comes in two variants - 4GB RAM/64GB storage variant which comes at a price of CNY 1,799 (roughly Rs 18,900) and the 6GB RAM/64GB storage variant which comes at a price of CNY 1,999 (roughly Rs 21,000). The Mi 8 SE features a 5.88 full HD+ Super AMOLED screen and is powered by Qualcomm Snapdragon 710. Another recent report has claimed Mi.com to be the third largest e-commerce smartphone shipments platform in India in the first quarter of 2018. According to Counterpoint Research Market Monitor, Mi.com has 14 percent share while Flipkart has 54 percent and Amazon has 30 percent share. The global spokesperson of the company, Donovan Sung also announced that Mi.com, which is its e-commerce platform, is the third largest e-commerce entity in terms of smartphone shipments in India.